Tomer Hanuka started his illustration career at the School of Visual Arts in New York City at the age of 22. Upon graduation, he was quickly gathered up by many national magazines, including The New Yorker, Rolling Stone, MTV, etc., to feature his illustrations. Though he started out as your average magazine illustrator, he soon developed an interest in graphic novels and began experimenting in that department. 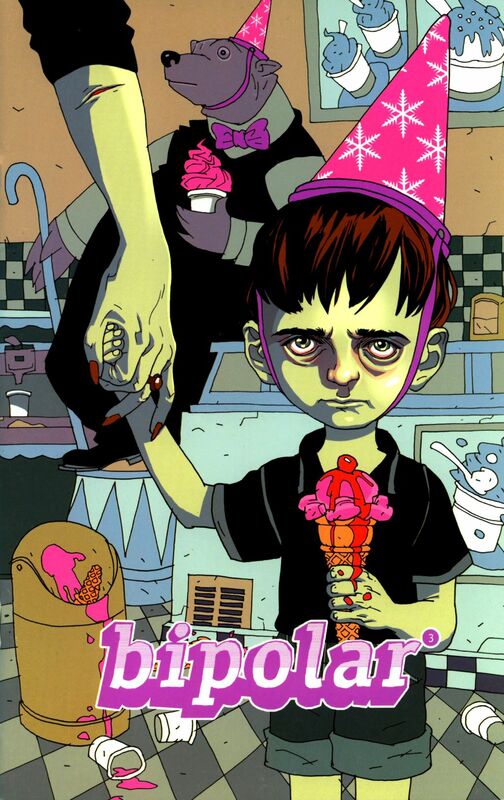 His first graphic novel he created with his identical twin brother, titled Bipolar, telling a story in two parts. It was an experimental piece that was later developed into a more in depth graphic novel, but due to it’s popularity Hanuka was nominated for the Eisner, Harvey and Ignatz awards. Hanuka has gone on to create several more successful graphic novels, like OVERKILL in 2011 and The Divine in 2015, and his style continues to captivate his audience. Personally, I enjoy Hanuka’s use of colour. He is hyper aware of contrasting colours and he uses it boldly, to surprise the viewer, and to draw the viewer’s attention. His subjects have a fantasy/comic element to them and they are so beautifully complex.